We understand that facility locations can benefit our patients, providers and stakeholders tremendously. By developing and manufacturing the majority of our products in our U.S. and Swiss facilities, we can ensure that our product supplies are always manufactured to the highest standards. Through our world-class facilities and our team of developers and scientists, Ingenus today is poised to file 25 ANDAs a year. All Ingenus facilities are in compliance with current quality, safety, and environmental standards as mandated by state and federal governments and regulators. 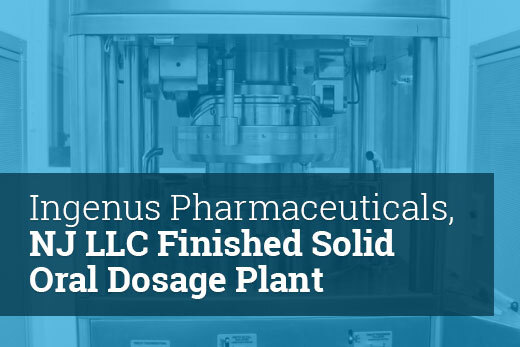 Ingenus’ New Jersey-based Finished Solid Oral Dosage Plant specializes in wet granulation/drying, dry granulation, dry blending, tableting, coating (aqueous and solvent), encapsulation, full line bottle packaging, and is home to our quality control labs. USFDA Registered and FDA inspected facility. A DEA registered and approved facility (CII-CV). 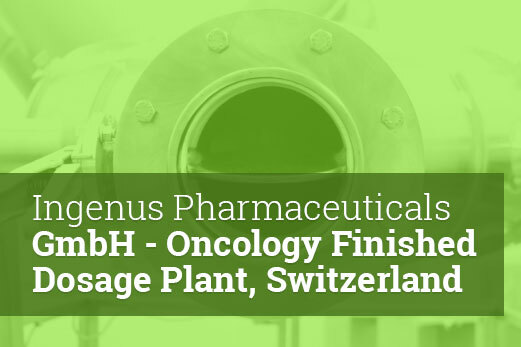 Ingenus’ Oncology Finished Dose Plant is focused on manufacturing oncological injectables. It is an innovative facility dedicated to manufacturing cytotoxic parenteral pharmaceutical agents in liquid and lyophilized dosage forms in vial presentations. The facility’s capabilities include product-specific process validation, stability batch manufacturing and testing, chemical and microbiological laboratory sampling, testing and monitoring, and commercial batches manufacturing.